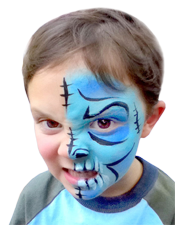 FABartFX offers some of the best face painting, body art and balloon artists in the greater Los Angeles area. From Santa Monica and the Palisades in the west, through Beverly Hills and Hollywood all the way to East LA. Along the freeways in the SF Valley and all the way down to Long Beach. Our artists are adding color and excitement to events all around town. With many hours of professional training our face painters and balloon artists offer designs that will wow your guests creating instant fun and lasting memories. 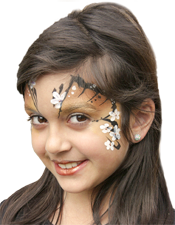 There are plenty of reasons to have a face painter or temporary tattoo artist at your next party! 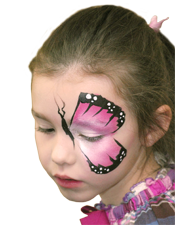 Face Painting and Body Art adds pizzazz to your event, where each guest gets his or her own special design, and the painting becomes an attraction itself! Make your Birthday parties, Company picnics, Bar and Bat mitzvas, weddings, holiday get-togethers extra-special. Add cool-factor to your skating party or cosmic bowling when your guests are painted with UV paint that glows under black light. And not just for kids, adults love to get in on the fun with fancy eye art and tribal designs. 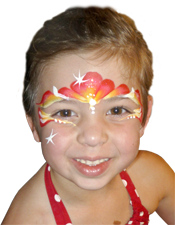 Temporary Glitter, Mica or Airbrush Tattoos are a great alternative to face painting, perfect for pool parties, teens or adults. We also have fantastic Balloon Artists and Character/entertainers who will delight your guests. We are now offering temporary AirBrush Tattoos which last 3-7 days and are great for Bar or Bat Mitzvahs, pool parties, In-store promotions and corporate events. Dates for Holiday Parties are filling up quickly. Please inquire about our Holiday Rates* prior to paying your booking fee. Contact us via the contact form on our website. Our artists are professionally trained, insured & only use products designed for use on the body. Bel Air, Beverly Hills, Burbank, Canoga Park, Central Los Angeles, Chatsworth, Culver City, Downtown Los Angeles, East Hollywood, El Segundo, Encino, Echo Park, Gardena, Glendale, Granada Hills, Hancock Park, Hawthorne,Hollywood, Hollywood Hills, Inglewood, Ladera Heights, Los Angeles, Long Beach, Malibu, Manhattan Beach, Mar Vista, Mid-City Los Angeles, Miracle Mile, North Hollywood, Northridge, Pasadena, Pico-Robertson, Reseda, Santa Clarita, San Fernando, Santa Monica, Silverlake, Sherman Oaks, Studio City, Tarzana, Toluca Lake, Tujunga, Universal City, Van Nuys, West Adams, West Hollywood, West Los Angeles, Westlake Village, West LA, Westwood, Woodland Hills. Other surrounding areas may be available. professional face painter, body artist, body art, body painting, baby shower, prenatal art, prenatal painting, belly painting, belly art, bump art, bump painting, theatrical make-up, theatrical makeup, high fashion makeup, high fashion make-up, runway body painting, events, festivals, fairs, Michelle Owen, michelle owen, FABartFX, FAB art FX, fabartfx, fab artfx, face painter, fashion show, anniversary photos, model portfolio, promotional painting, promotional model, fundraiser, best bodypainting, best body painting, hand painting, handpainting, pregnancy photo, exhibitions, advertising pictures.los angeles, beverly hills, Hollywood, silverlake, santa monica, bel air, westwood, culver city, North Hollywood, Miracle Mile, Hancock Park, Larchmont, beverly hills, pasadena, southern california. 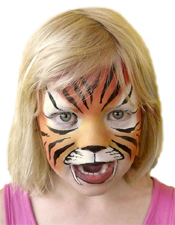 face painting, face painter, photography, photographer, kids, fabartfx, face and body art, party, entertainment, birthday party, anniversary, valentine, christmas, easter, Grand Opening, halloween, wedding, belly painting, costume, bar mitzvah Bat mitzva, corporate events, family picnic. Copyright © 2011 FABartFX All Rights Reserved. Design taopro.com. professional face painter, body artist, body art, body painting, baby shower, prenatal art, prenatal painting, belly painting, belly art, bump art, bump painting, theatrical make-up, theatrical makeup, high fashion makeup, high fashion make-up, runway body painting, events, festivals, fairs, Michelle Owen, michelle owen, FABartFX, FAB art FX, fabartfx, fab artfx, face painter, fashion show, anniversary photos, model portfolio, promotional painting, promotional model, fundraiser, best bodypainting, best body painting, hand painting, handpainting, pregnancy photo, exhibitions, advertising pictures.los angeles, beverly hills, Hollywood, silverlake, santa monica, bel air, westwood, culver city, North Hollywood, Miracle Mile, Hancock Park, Larchmont, beverly hills, Pico Robertson, pasadena. Sherman Oaks, Van nuys, North Hollywood, Miracle Mile, Hancock Park, Larchmont pasadena glendale socal southern california , southern california. 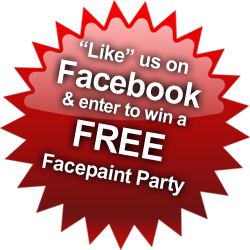 face painting, face painter, photography, photographer, kids, fabartfx, face and body art, party, entertainment, birthday party, anniversary, valentine, christmas, easter, Grand Opening, halloween, wedding, belly painting, costume, bar mitzvah Bat mitzva, corporate events, family picnic. Los Angeles Face Painter, San Fernando Valley Face Painter, Face Painting in Los Angeles, Face Painting in San Fernando Valley, Los Angeles Balloon Twisting, Los Angeles Balloon Animals, Los Angeles Balloon Artistry Balloon Twisting in Los Angeles County, Balloon Artistry in Los Angeles, Balloon Animals in Los Angeles,, Event Photography in Los Angeles, Los Angeles Event Photography, Southern California Party Entertainment Face Painting, Glitter, Body Jewels, Face Painter, Anniversaries, Bar Mitzvahs, Bat Mitzvahs, Sweet 16, Birthday Parties, Children's Parties, Company Parties, Conventions, Trade Shows & Events, Corporate Events, Entertainment and Face and Body Painting, Illustration, Fairs, Family Events, Fashion Shows, Festivals, Grand Openings, Grad Parties, Proms, Halloween Attractions, Holiday Parties, Marketing and Promotions, Outdoor Events, Picnics, Private Parties, Rallies, Reunions, Sales Events, School Events, School Dances, Homecoming, Small Venues, Sporting Events, Theme Parties, Themed Events, Tradeshows,Trade Shows, Weddings, Children's & Family Entertainment, Birthday parties, Children's parties, kid parties, kid parties, children birthday parties, children birthday parties, Face Painters, Painting Faces, Children's Entertainment, Entertainment, Party, Party Entertainment, Family Entertainment, Entertainers, Entertainer, Body Art, Illustration, character design, graphic design, graphics design services, Los Angeles graphic design, graphic design in Los Angeles, logo design & letterhead design, graphic design, DVD menu design & animation, marketing materials.